No. 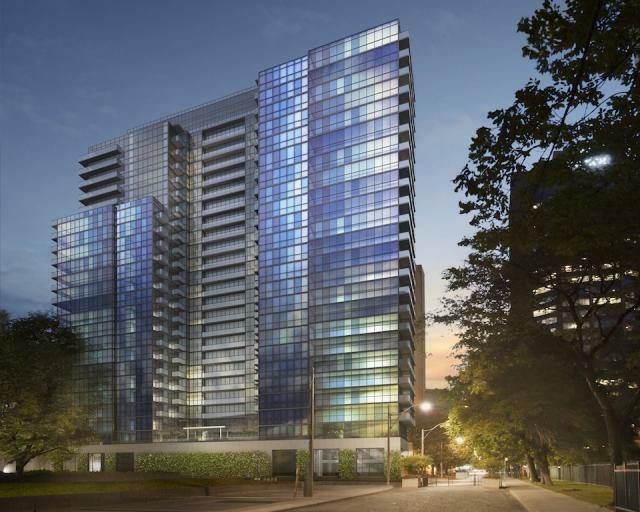 210 Simcoe, co-developed by Diamondcorp and The Sorbara Development Group, is two new structures standing 25 and 19 storeys, offering 294 units in Toronto’s Entertainment District. Suites features include custom interiors by II BY IV Design Associates, 9′ concrete ceilings, quartz kitchen countertops, chef’s cooktop with built-in oven, and wood laminate flooring. Suites range in size from 471 sq ft to 1870 sq ft.